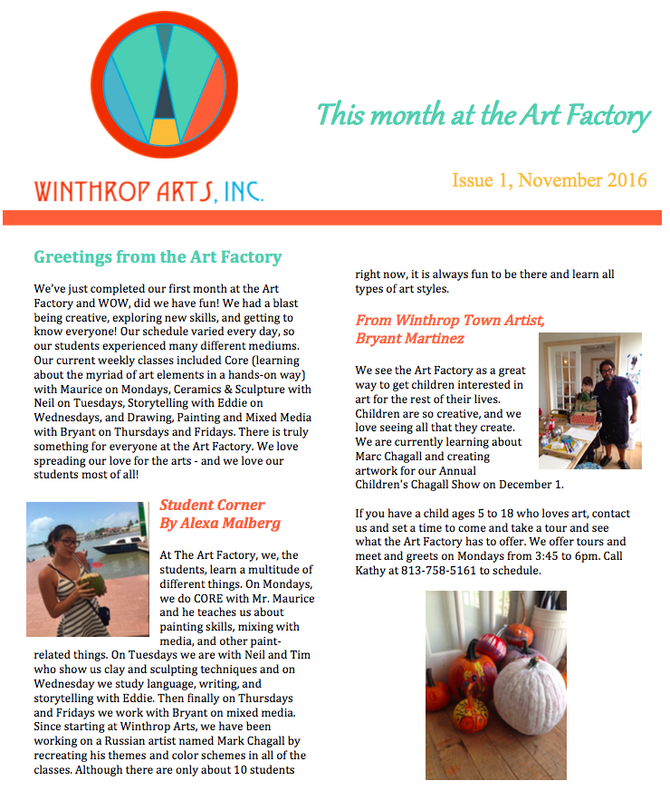 Art Factory Monthly Newsletter — Winthrop Arts, Inc.
Every month, we put together a newsletter letting parents and the rest of the community know about what we've been up to at the Art Factory. We always feature a current student in our "Student's Corner," and we include upcoming events. Be sure to visit this page monthly to learn about all the fun we've been having...or better yet - come visit us at the Art Factory or schedule a tour!